This image is 2048 * 1536 pixels and 338 KB large. Click here to view the original file. 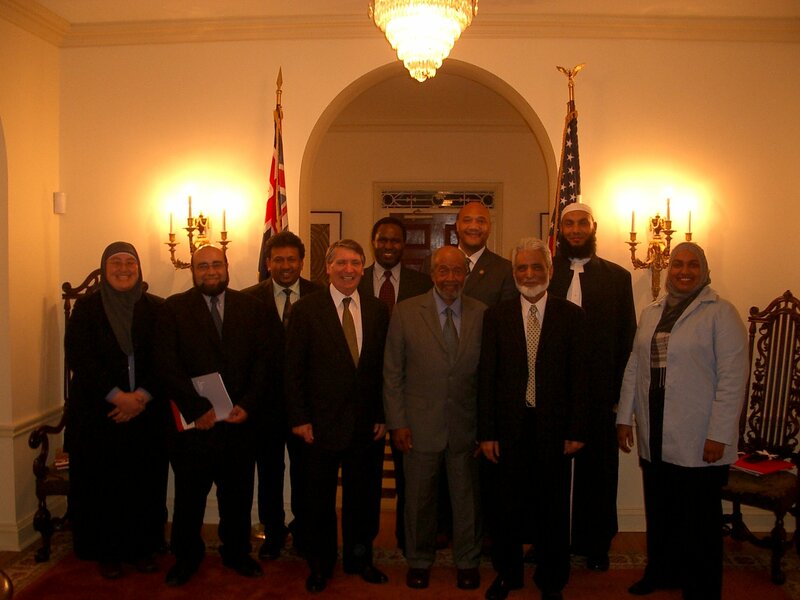 From Left to Right: Agnes Chong (AMCRAN), Dr Waleed Kadous(AMCRAN), Asmi Wood (CIC/ANU), Ambassador Dennis Richardson (AustralianGovt), Mohamed Elsanousi (ISNA), Imam W D Mohammed (American Society of Muslims),Congressman Andre Carson (USA Govt), Sayyid Syeed (ISNA), Dr MohamadAbdalla (Griffith University), Asma Mirza (MSA National). Friday, June20, 2008, at the Australian Ambassador's Residence, Washington DC.